Treasure's Alien Soldier is an absolute classic. It was also, for some reason, never released in its original form (ie on the Genesis) in the US. Until now! Bratwurst, from the Sega-16 forums, has made his own copy. 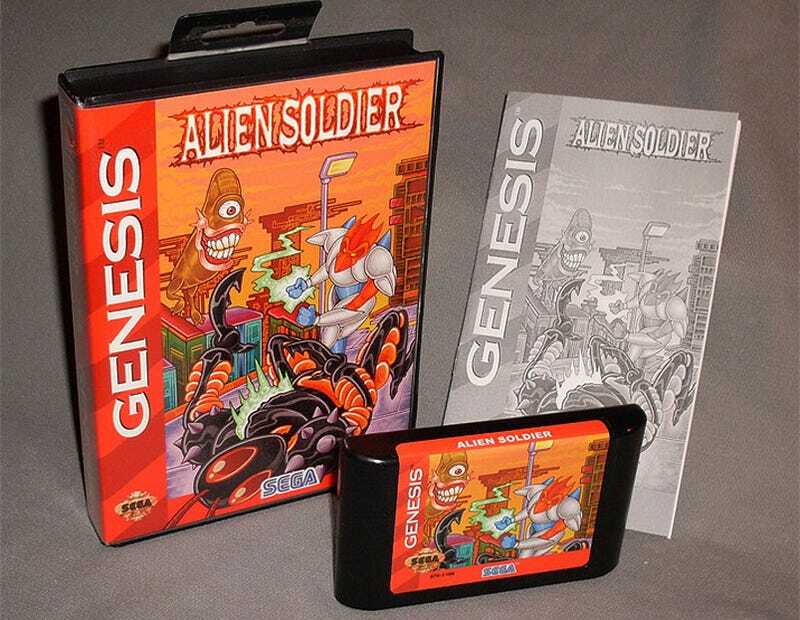 With a box, box art, a manual (in authentic, faded black & white) and, most amazing of all, he's made his own working Genesis cartridge. These aren't the first custom productions he's knocked up - there are also copies of Monster World IV and Pulseman out there somewhere - but it's definitely the most impressive. Because it's Alien Soldier.